Cathi is one of Cape Town’s first, and most experienced cosmetic tattooists. Experienced since 1988, Cathi specialised in and is a full time permanent make up tattooist, having treated many thousands of clients. Creating areolas after mastectomies or breast surgery. Cathi does a lot of corrective work on other permanent make up disasters ie removing, softening hard thick solid lines, fixing shapes, correcting colours. 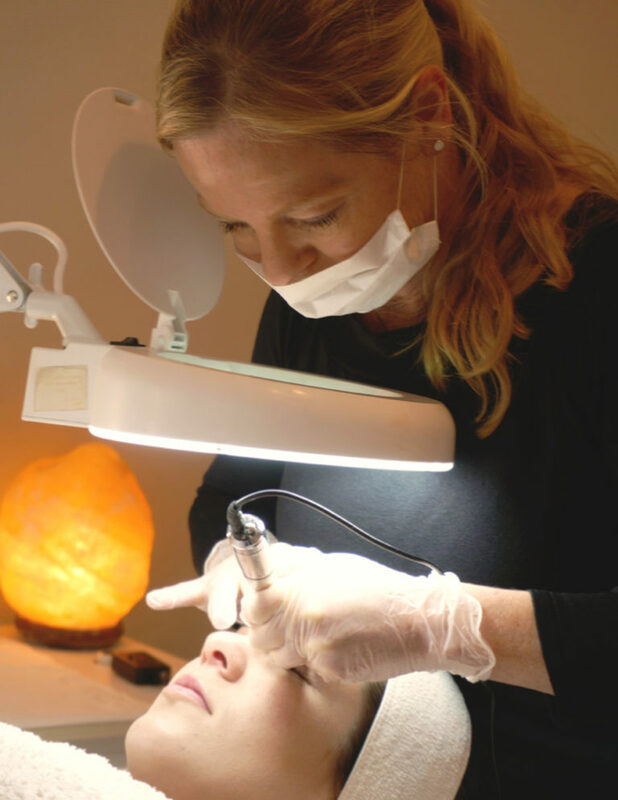 She also offers vein cauterisation which is the treatment for removal of red ‘broken’ capillaries on the face. Her business success over the years has been through ‘word of mouth’ - satisfied clients referring her. From her many years of experience she has perfected the technique to give a very natural definition to ones features and not a ‘tattooed’ look. Her good knowledge of colour helps with mixing correct tones, not only for now, but also what the result will look like in the future. Care is taken to understand and meet each client’s individual requirements and expectations. Cathi has been featured on radio, television and in Fair Lady magazine.